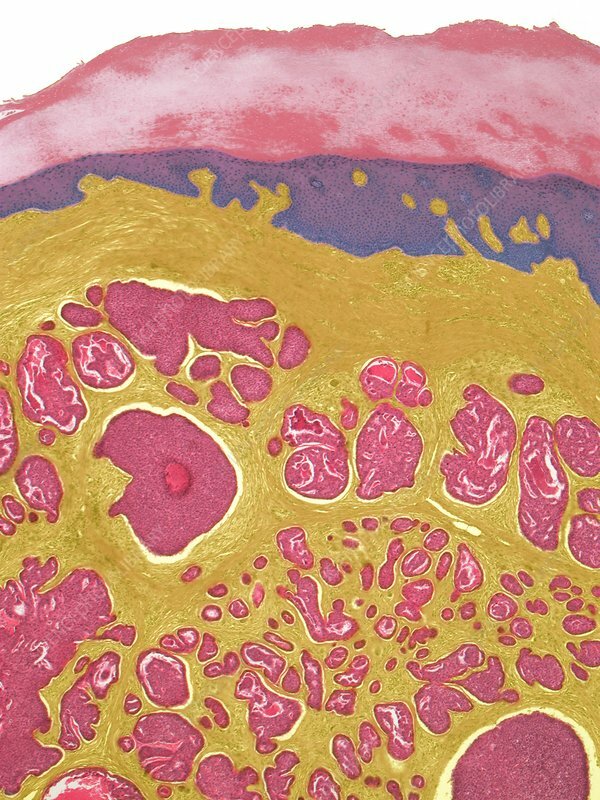 Digital papillary adenoma, light micrograph of a section of affected skin. Digital papillary adenocarcinoma is a rare malignant tumor of skin predominantly involving the distal end of digits. The tumor (red) is aggresive and likely to metestasise (spread) and demonstrates a multinodular solid and/or cystic pattern. Magnification: x 80 when printed at 10 centimetres wide. Human tissue.